Born out of Edinburg University in 2006, with help from funding by the U.K.’s National Endowment for Science, Technology and the Arts (NESTA), Skoog is a small, squishy musical instrument that’s simple by design. The result is a small cube with five sides monopolized by big, brightly colored half-circles, buttons that serve as a sort of analog to a string or piano key, triggering sounds determined by a connected computer, not unlike a MIDI controller. 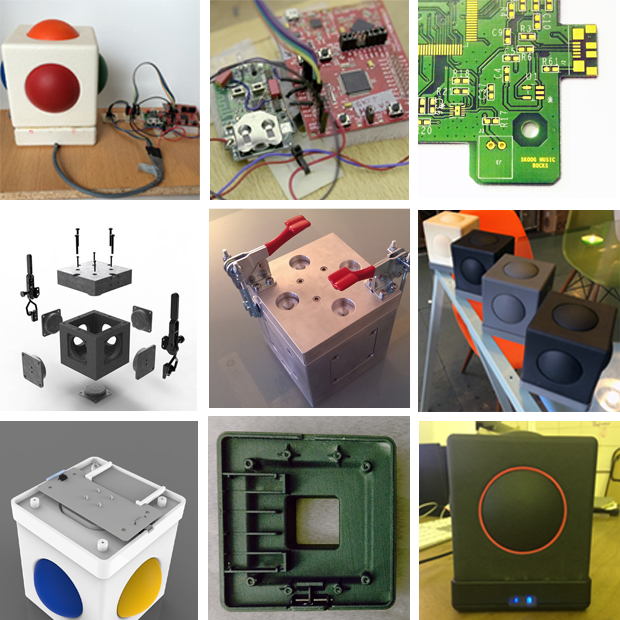 The company launched the first Skoog in 2012, after receiving an initial VC round two years prior. It was strange and somewhat rudimentary, but the product’s simplicity landed it on the radar of classrooms — special education departments in particular. To date, the first-generation product has a user base of around 2,000, a modest number, but enough to have gained the notice of Apple, which began promoting it as an accessibility device through its retail channels. That same year, the company began work on a new version of the product, swapping the USB for wireless, as part of an attempt to embrace the growing use of iPads in special education curriculums. In late 2015, Skoog took the product to Indiegogo, raising funding for the 2.0 version, which, along with the aforementioned wireless connectivity also features in-app integration with music services like iTunes and Spotify. The app automatically recognizes and matches the song’s key, so users can play alongside it. The Skoog 2.0 hits retail stores today for $300, bringing with it the promise of potential use cases outside of the educational world. Schögler points to retirement communities that have experimented with the device for use with patients suffering from dementia. And then, of course, there’s the occasional intentionally awkward viral video hit.